I finally got to see the illustrated book cover of a recent book I illustrated. 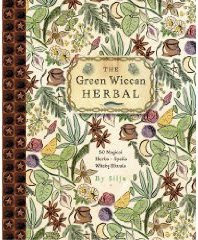 'The Green Wiccan Herbal' published by Cico books is now available at Amazon to order. Having designed the book jacket cover digitally it is always great to pick up the actual version to feel it and best of all smell that fresh ink. I wonder what will be next in the series?? ?